Description: Digitization provided by the USF Libraries Digitization Center. Rare Maps. This is a map of Monroe County, circa 1830. It is a portion of Rand McNally and Co.'s new business map of Florida. 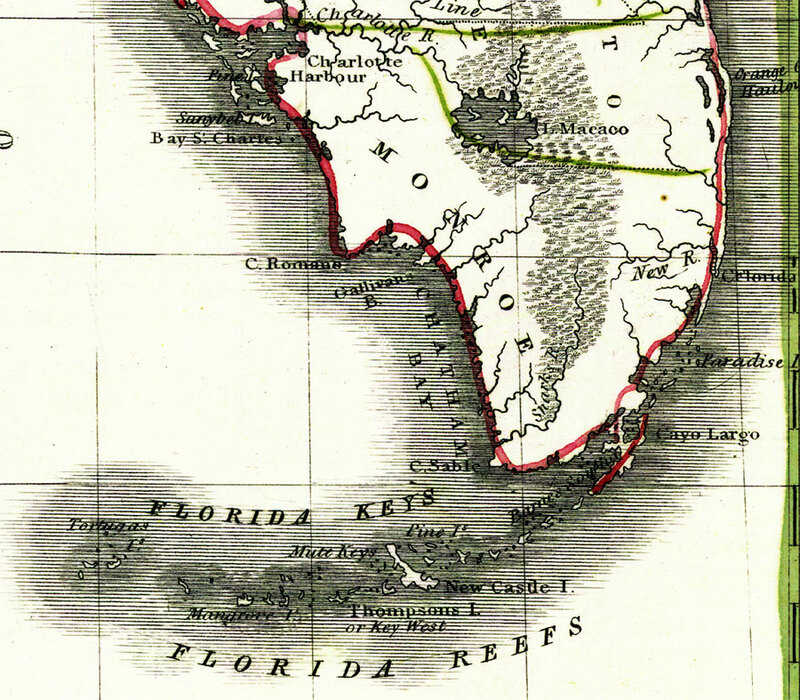 It shows county boundaries, Florida Keys, Florida Reefs, inland waters such as the Charlotte River, etc.